OSWEGO, NY – Mary J. Link, 90, a resident of Bishop Commons passed away on Thursday August 30, 2012, at St. Luke Health Services. Born in Oswego, she was the daughter of the late George and Emma (Matteson) Johnson. She was a graduate of St.Paul’s School and the Albany High School. She retired from General Electric after 18 years of service. Mary was a Eucharistic Minister and Lector at St.Paul’s Church and was also a member of the Altar Rosary at St.Paul’s Church. She was also commissioned as a Lay Minister. She and her husband, Stephen, where the original co-founders of the Human Concerns Center. 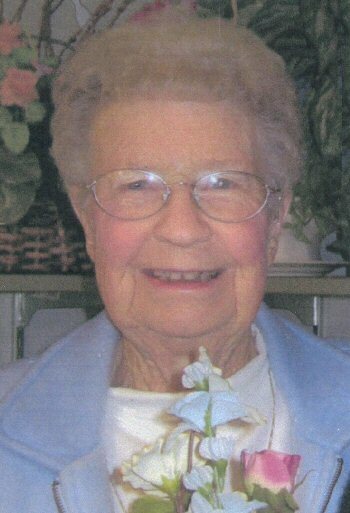 She was a volunteer at Bishop Commons and St. Luke’s for many years. Surviving are her loving husband of 71 years, Stephen Link; a brother, George (Joan) Johnson of Oswego; and nieces and nephews. Funeral services will be held on Saturday at 1:30 p.m. from the Dowdle Funeral Home with calling hours from 12:30 – 1:30 p.m. prior to the service. Burial will be in St.Paul’s Cemetery. In lieu of flowers, contributions may be made to the St.Paul’s Capital Campaign. Steve, you and your family are in my thoughts today.